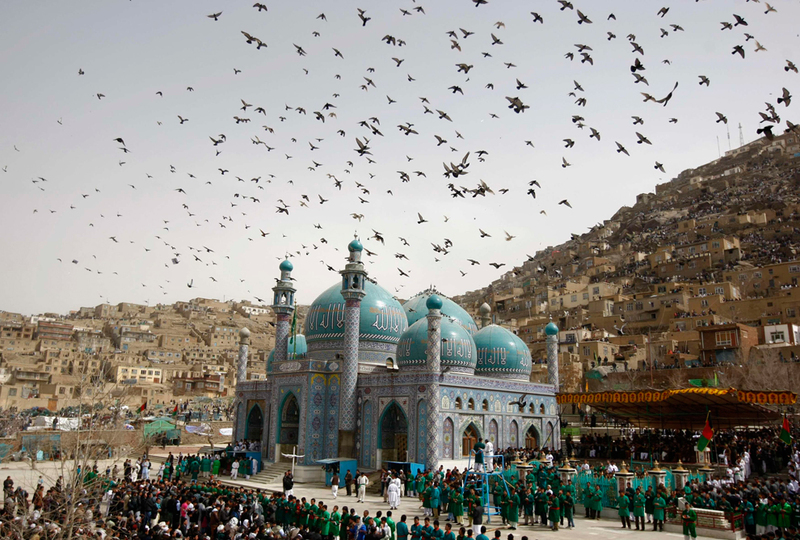 The Afghan New Year falls on 21 March, the spring equinox, our first day of spring. 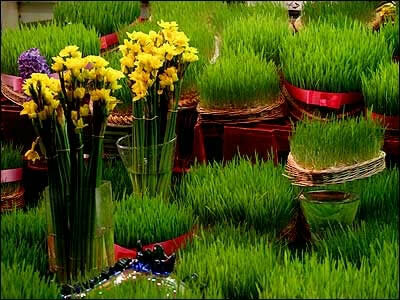 This special day, which celebrates new life, has its origins long before Islam, in the time of Zoroaster and the Zoroastrians. The Afghan New Year falls on 21 March, the spring equinox, our first day of spring. This special day, which celebrates new life, has its origins long before Islam, in the time of Zoroaster and the Zoroastrians. 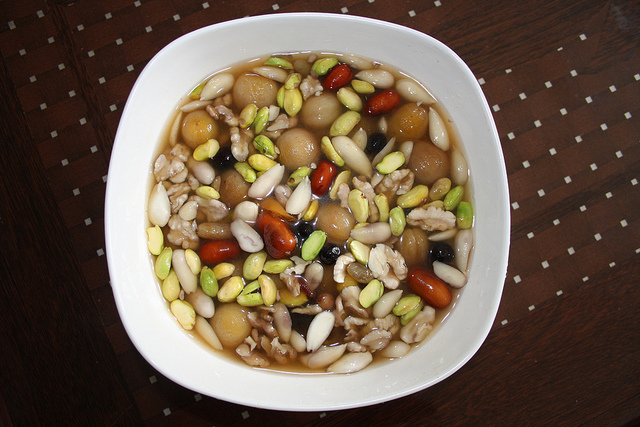 Special dishes and foods are made for the New Year: kulcha Naurozee, a biscuit made with rice flour and sometimes called kulcha birinji; and miwa Naurozee, a fruit and nut compote, also called haft miwa or haft seen by some because it contains seven (haft) fruits and the name of each fruit includes the Persian letter seen. Shola-e-shireen or shola-e-zard, both sweet rice dishes, are also made on this day for Nazer, a kind of thanksgiving (see p 00). Another traditional food at this time is sabzi chalau with chicken. Samanak is another ancient dish prepared especially for New Year. About fifteen to twenty days before the New Year, wheat is planted in flower pots and from this wheat a sweet pudding is made. The preparation for this dish is elaborate. At New Year when everything is new and fresh and the bitter winter is finally over, Afghans like to go on picnics and many people visit holy shrines, ziarat. Buzkashi is also played at New Year. It is the country’s national sport and it resembles polo. 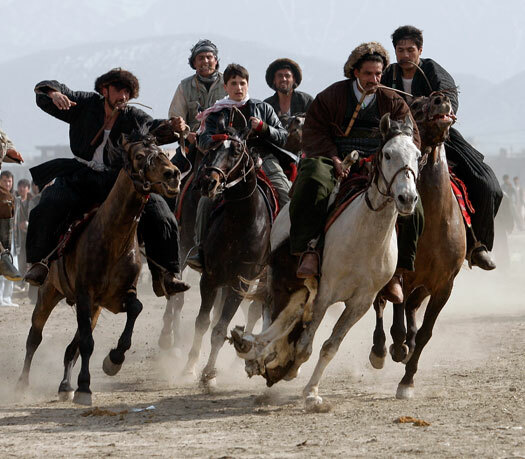 Buzkashi literally means ‘goat-grabbing’. The headless body of a goat, or sometimes a calf, is used in place of a ball. The game originated on the plains of Kunduz and Mazar-i-Sharif during the time of the Mongol invasions of Afghanistan, when it is said that the Mongol horsemen used (decapitated) prisoners of war instead of goats. 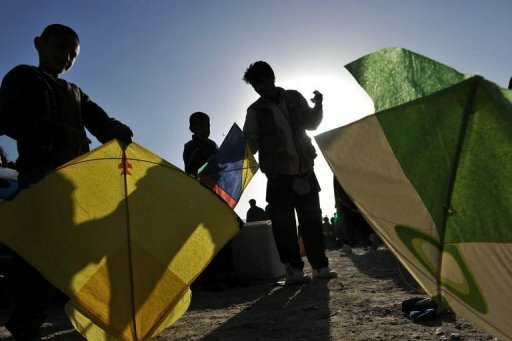 Children go out to fly their kites. These are made with colourful tissue paper on a light wooden frame, and the thread, specially made with ground glass, is extremely sharp. The kites fight each other in the air, trying to cut the thread of other kites.